These are truly times for anger. 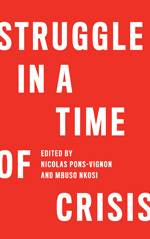 The world is barely re-emerging from the deepest economic crisis in a century, yet the very policies and mindset that caused the problem in the first place are back with a vengeance. Indeed, the world economy risks sliding back into crisis as dangerously short-sighted policies are put into place. The brave words of reform from world leaders in the G20 meetings of 2009 are now largely forgotten and have been replaced with the old scriptures of fiscal consolidation and calls to address the “fundamentals”. And thus the world is fast slipping into a self-defeating round of “competitive austerity” where everyone seeks salvation from austerity at home through export-led growth. This is a strategy that might have worked for some for a time, but those days are gone: credit-driven consumption in a few key countries can no longer make up for the lack of wage-driven consumption worldwide. Weakness in wage growth has been shown to be a prime cause of the crisis. This should come as no surprise: with globalization there has been a growing disconnection between wage growth and productivity. Whereas worker compensation rose in parallel with the improvement of productivity until the early 1980s, overly restrictive monetary policies, trade liberalization, labour market deregulation and employers’ strategies have combined since then to weaken this link. The consequences are now well documented: the share of labour income has dropped in most countries, inequalities have increased almost everywhere, and consumption has been maintained in large part through credit. What is worse is that since the 1990s the decline in labour’s share of income has been highly pronounced in countries with trade surpluses (see Figure 1). In other words, the winners of the new global trading system have not shared those gains with their workforce… This is profitable for some individual companies, but it is bad for overall growth and prosperity. Ultimately it is unsustainable. Source: World of Work Report 2010, ILO. With unemployment and household debt still high in some of the key jurisdictions in the world (including both the U.S. and Europe) and with governments engaging in counter-productive austerity, it is more urgent than ever to ensure that workers get their fair share. More than a moral issue, it is also the only way to extricate ourselves from the current macroeconomic mess. We need a fundamental change in paradigm. First, jobs and decent work can no longer be some collateral by-product of economic policies geared to rolling out the red carpet to “investors”. Full employment has to become anew the central objective of economic policy, and it should be expected that governments use all their levers – fiscal, monetary, regulatory and industrial – to achieve it. In parallel, we need active policies to improve workers’ capacity to engage in collective bargaining to link wages to productivity growth once again. All of this will require new “rules of the game” internationally. As it stands, the current international economic and financial system has given the upper hand to speculators and tax evaders, fostered instability and put the burden of economic adjustment on the parties that were already experiencing difficult times. As a result, the fate of entire societies has not improved much over the past thirty years. This needs to change. First, we need to reform the currency system to ensure that adjustment is not achieved mostly by deflating deficit countries, but through “reflating” surplus nations. In this way, the system would ensure that the adjustment led to more growth for all, not further wage and price depression. This idea is not new; it was first proposed by J.M. Keynes back in 1944 and has elicited renewed interest recently. Such a system would perhaps entail capital controls of some kind, but that would remain a lesser evil than the costs of disorder. Last but not least, we need a renewed focus around the enhancement and respect of labour standards by all. When it comes to labour rights, the world faces a classic “free rider” problem. Now more than ever, it is essential to ensure a basic international social floor, that all countries endeavour to respect basic standards and that competitive advantage does not come at the expense of the “over-exploitation” of workers. If it is true that “labour is not a commodity”, the manner in which we achieve economic prosperity is as important as the goal itself. None of these ideas is particularly radical. What sets them apart from the current orthodoxy is that they give prominence to workers’ needs and aspirations, and pragmatically define a “high” road to economic development. The experience of the last three years shows that departures from economic orthodoxy are feasible at times when the “establishment” is going through near-death experiences, but that this does not have a lasting effect. In hindsight, the brief flirt with Keynesianism when the financial system was on the brink of collapse only lasted as long as it was needed to save the banks. If during the crisis workers’ organisations could have anticipated that a new era of dialogue had begun, the moment has clearly passed. Our social “partners” have left the restaurant and presented us with the bill: austerity, tax increases, wage concessions, increased precariousness, public sector retrenchment, cuts in public pensions, and so on. If much of the solution to our problem is international, trade unionists will have to find ways to exert their power and influence internationally as we confront the consequences of the crisis. Both opinion polls and the wave of strikes and protests in many countries show the growing discontent with one-sided and short-sighted policy solutions. 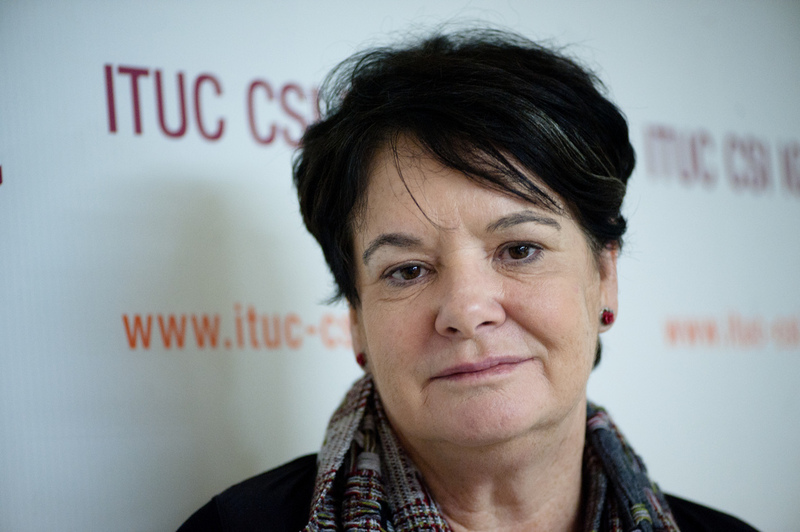 Sharan Burrow is General Secretary of the International Trade Union Confederation (ITUC).